Kenwood have just completed damp proofing within a home in Brixton. Following a problem with dampness affecting a wall within the home Kenwood Plc were called to inspect. Rising dampness was found to be affecting a couple of walls within a study area. 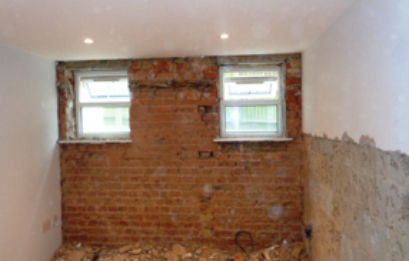 With a combination of a defective damp proof course, coupled with penetrating dampness Kenwood had removed the wall plaster from floor to ceiling. The plaster is removed from the wall to stop the hygroscopic salts from preventing the wall from fully drying out. With the wall plaster removed the walls have been injected with a chemical damp proof course. 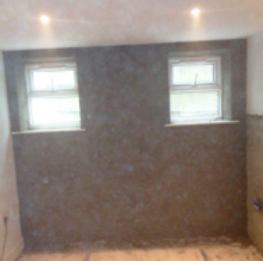 The treated walls have been replastered and skim finished completing the treatment.